With the coming up of the USB Warmer Pillow, a Japanese product, you won’t feel bored while surfing the internet or watching movies on your computer claims its manufacturer Thanko. Moreover these cozy pillows featuring plush pillow cover would help you keeping chilly nights at bay. 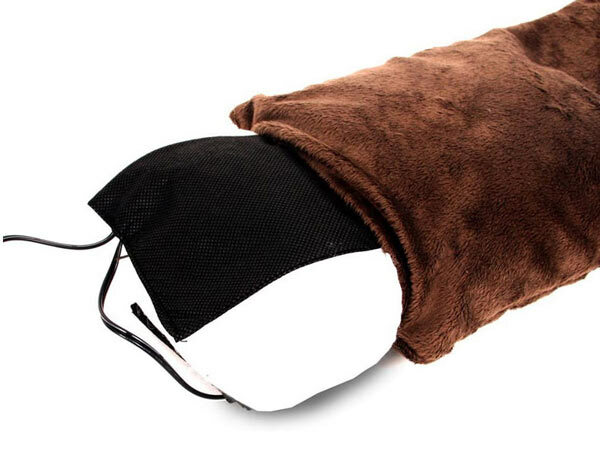 USB Warmer Pillow would give you a feeling that you have your partner around and instead of controlling your computer, it will help keep your body warm. 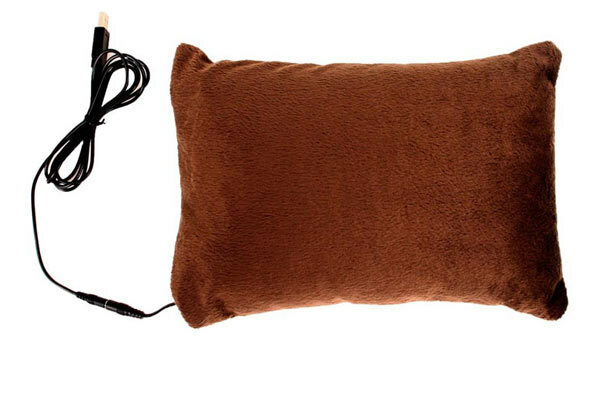 Available just for $40 this USB warmer pillow weighs only 120g and measures 270 x 190 x 105mm. No doubt taking a nap while at work is not considered as an easy job to do while your boss is around, however after putting these warmer pillows besides your desk would help you fall asleep instantly. So use these warmer pillows at your own risk if you are in the middle of an important work while on computer, as you may fall asleep any time in front of your computer after getting great warmth! The manufacturers of the pillow ensure that it would offer you an exceptional experience during night. You can use the inflatable pillows into any available port on your computer, however, one of the disadvantages is as soon as you shut your computer or laptop, and the pillow would also be inflated. It seems with the coming of this product, the time for using a couple of sweater or coat has gone while working on the computer or laptop, just start using the USB warmer pillow and you are at the threshold of the warmer world. Other cute products you may like to appreciate include: Electroadhesion Robot and The Revo Axis.